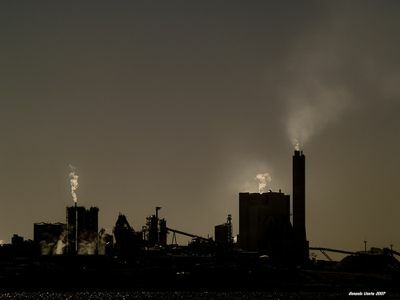 The International Court of Justice  in the Hague ruled on the conflict between Argentina and Uruguay  about the latter's construction of a large Finnish-owned paper mill on the Uruguay River, shared by both countries. Argentina states Uruguay's unilateral authorization violated treaties between the countries and that such venture polluted the river. The Court stated that Argentina did not prove the mill contaminates the river, therefore it will still operate. However, it also stated that Uruguay violated the treaty between both countries and that it allowed the mill's construction despite negotiations between the countries were underway. At the blog Espacios Protegidos [es]  (Protected Spaces), Walter Raymond affirms the result was the worst scenario expected for both countries, since it condemns them to the “punishment of reaching an agreement”. Raymond refers to the need to reach an agreement for the control of the Finnish paper mill, and to guarantee the future compliance of agreements regarding the Uruguay river. A similar point of view was presented at Blog de Abel [es] , where they also make a summary of the ruling. Both nations must comply with the ruling. In the future, it's expected the ruling and the obligation to agree on a common framework for the use of Uruguay River will prevent these situations from happening again. Also, it is still yet to be resolved what will happen with the bridge between Argentina and Uruguay, located in the city of Gualeguaychú , which has been blocked for three years by Argentinean environmentalists. They have said they will not declare the strike to be over.